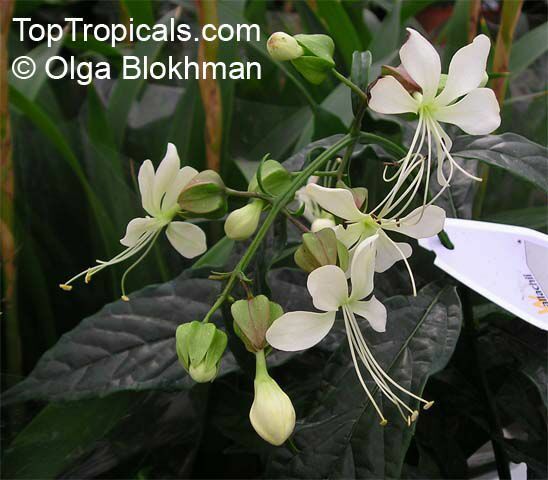 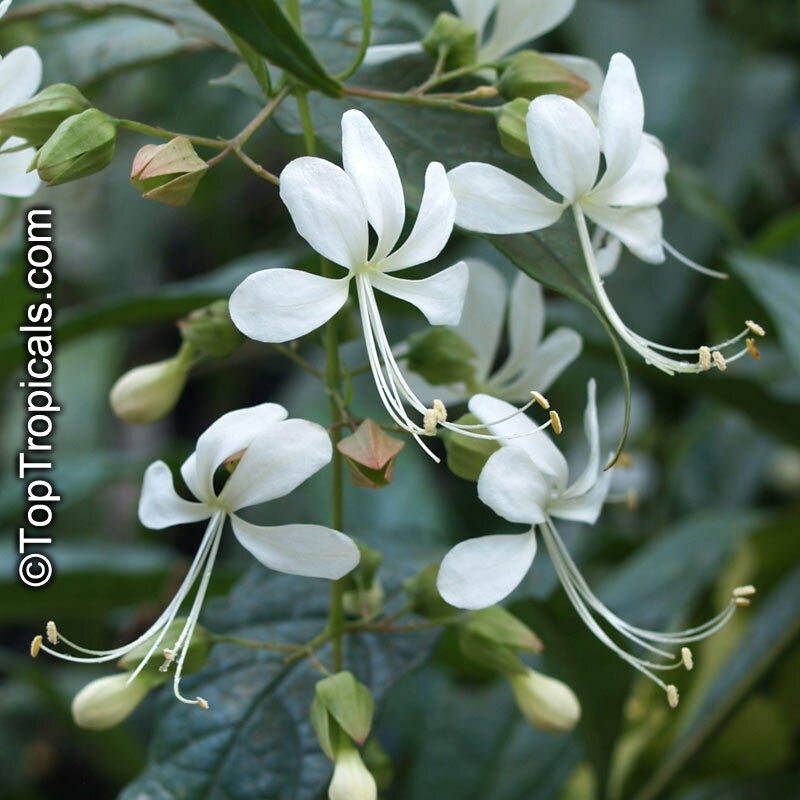 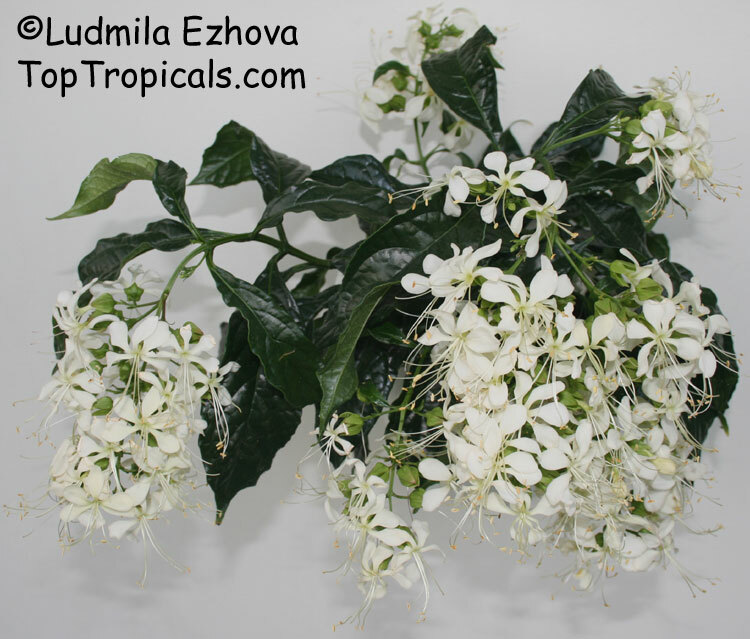 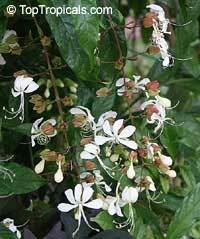 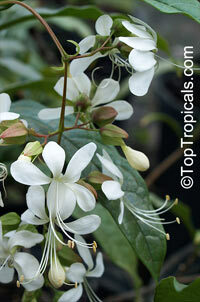 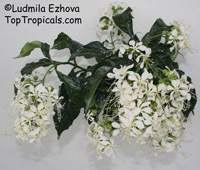 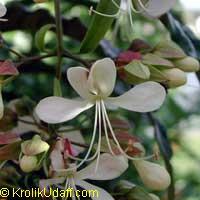 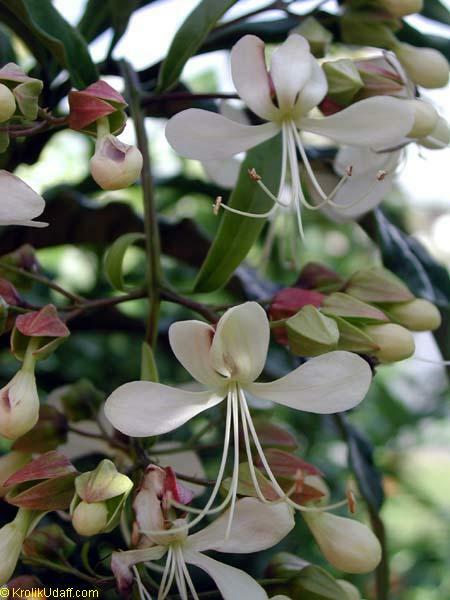 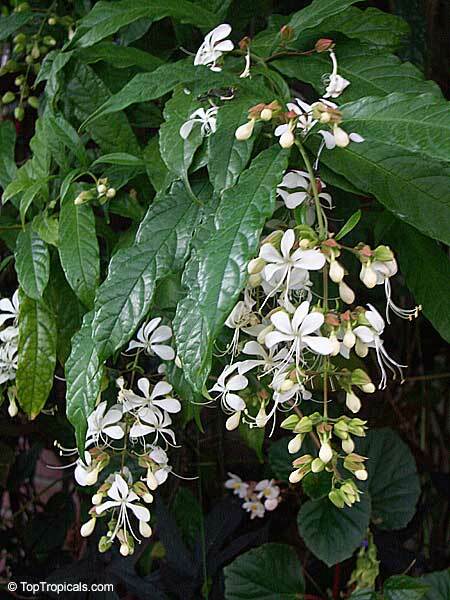 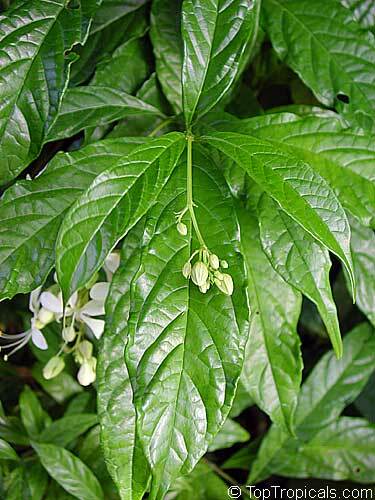 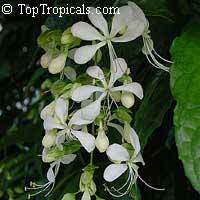 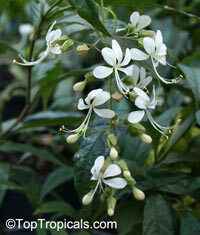 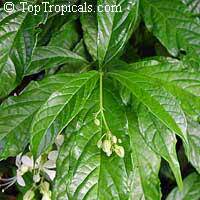 This graceful shrub grows up to 7 ft and has pointed narrow leaves 4 to 9 inches long. 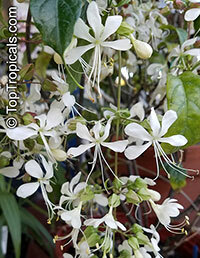 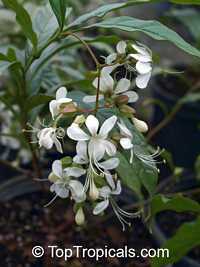 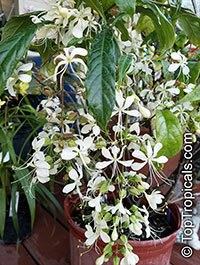 The white fragrant flowers are held in loose panicles, which are more or less pendulous. 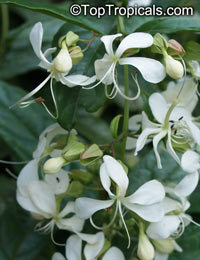 Cascades of flowers appear around Thanksgiving. 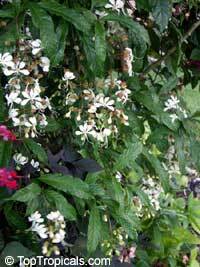 Keep it out of the wind, and avoid putting it where it will get late afternoon sun. Blooming in fall-spring. 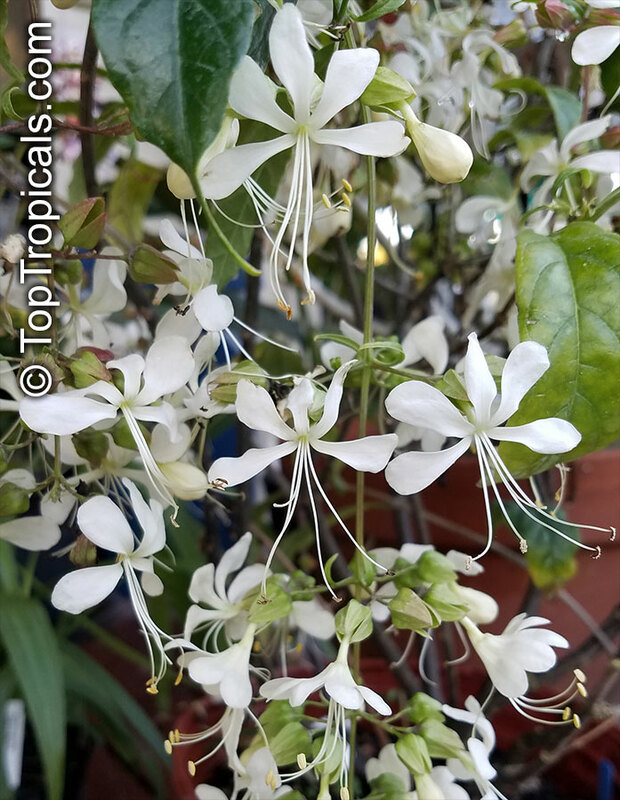 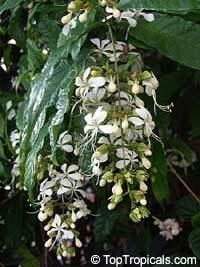 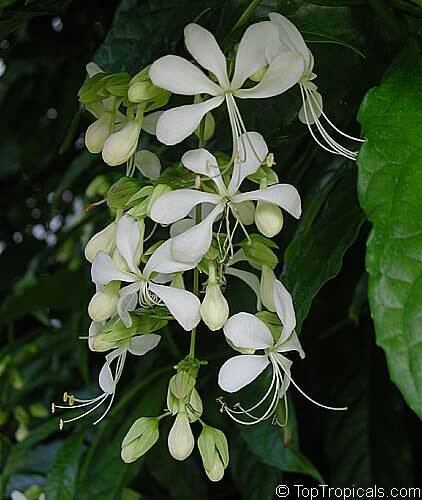 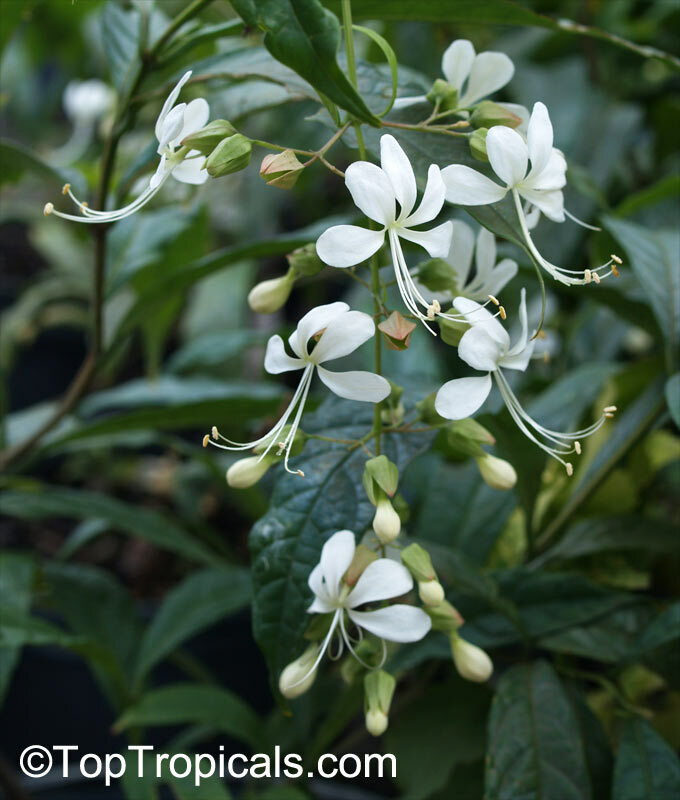 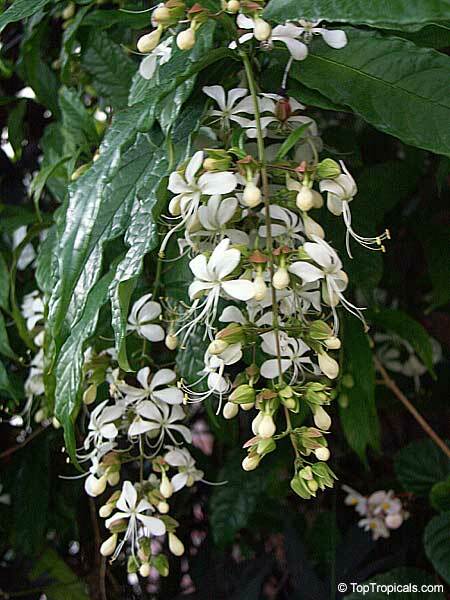 The genus Clerodendrum consists of over 450 species of trees or shrubs, sometimes climbing, native to the tropics, but mostly to the Eastern Hemisphere. The name is derived from the Greek kleros, chance, and dendron, a tree, and is supposed to be in reference to the variable medicinal qualities of certain plants belonging to this genus. 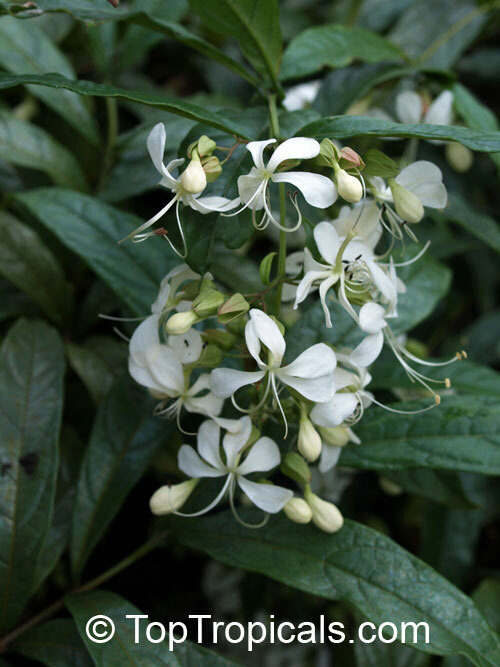 This shrub grows up to 7 ft. and has pointed narrow leaves 4 to 9 inches long by ¾ inch wide.